Dr. Steven Y. Park, M.D. There are many surgeons who are qualified to treat obstructive sleep apnea, but few of them are so passionate about sleep breathing disorders and focused on patient's needs as Dr. Steven Park and his team. He is also the author of two books: Sleep, Interrupted and Totally CPAP: A Sleep Physician's Guide For Restoring Your Sleep And Reclaiming Your Life. His last book, Totally CPAP, published in April 2017, is a precious resource for sleep apnea patients who struggle to adjust to CPAP therapy. He also offers advice and tips on his website doctorstevenpark.com. 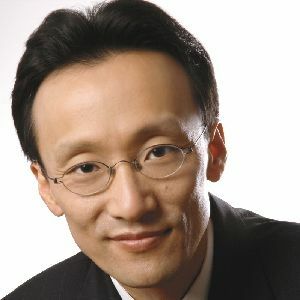 Dr. Park was an obvious choice to feature here at Sleep Apnea Guide, and he was kind enough to put lots of thought and time into his answers. We thank Dr. Park for this effort, and we thank him for all that he does. Here now is the long awaited interview with Dr. Steven Park! 1. Hello Dr. Park, thanks a lot for joining us today. I have to admit it is an honor to have you here. Please take a brief moment to introduce yourself and tell us a bit about your work and anything else you'd like to mention. Thanks for inviting me, Remy. I'm Steven Park, and I'm an otolaryngologist at Montefiore Medical Center in the Bronx, NY. Prior to my joining Montefiore 8 months ago, I was in solo private practice for 11 years in Manhattan, where I developed an interest in sleep-breathing disorders. I'm board-certified in otolaryngology and sleep medicine, and have an academic position of assistant professor of otorhinolaryngology at the Albert Einstein College of Medicine. As you know, I also run a website which offers practical information on integrative options for treating obstructive sleep apnea and upper airway resistance syndrome. I'm also the author of the book, Sleep, Interrupted: A physician reveals the #1 reason why so many of us are sick and tired. 2. One thing that impressed me straight away is the number of excellent testimonials you received from sleep apnea patients who experienced surgery in your clinic. From my personal experience, you can't be so successful without having lots of passion, years of experience and high quality education in your field. You definitely have all these requirements. How did it all begin? When was that "spark" when you decided to be a surgeon? Before even considering any type of surgery, I always look for ways of treating sleep apnea with nonsurgical methods, beginning with lifestyle changes, exercise and dietary changes. If this doesn't work, CPAP or dental appliance options are then considered. Only after all these options don't work do I offer surgery. Even then, only a small proportion of people will be good candidates for sleep apnea surgery. In the first year out in private practice, I was performing a common sleep apnea procedure, called a uvulopalatopharyngoplasty (or UPPP). The procedure went well, but just after the breathing tube was taken out, the patient obstructed, and the anesthesiologist had trouble replacing the tube. The patient was in trouble, so I had to perform an emergency tracheotomy, where I had to make a hole in the neck into the windpipe, just below the voice box. I was clearly shaken after this experience. At this point, I had to decide whether or not to continue doing this type of surgery. Then I began to research the reasons why sleep apnea surgery has higher rates of complications and failure. What I discovered was that if you address with entire airway, from the nose to the tongue, rather than treating just one level, your success rates can significantly higher with much lower complications. This is when I began performing tongue base procedures. There's one patient that really opened my eyes to the importance of good breathing and overall health in general. A young woman in her 30s came to see me for recurrent sinus infections, but also had severe fatigue, daily headaches, chronic diarrhea, cold hands and feet, severe depression, and low blood pressure. I treated her for the sinus problems, but it kept coming back. Eventually, a sleep study revealed she had mild obstructive sleep apnea, but this wasn't enough to explain all her symptoms. We tried CPAP but she couldn't tolerate it. She also could not use a dental device. Eventually, I offered her surgery, but reluctantly, since It wan't common practice to perform major 3 level airway surgery for people with mild sleep apnea (nose, palate and tongue base). At this point, she had no other choices, and underwent the procedure. Six months later, the number of times she stopped breathing per hour at night dropped from 14 to .2. Not too surprisingly, she reported having much more energy, and she was able to come off her antidepressants. What was surprising, however, was that she reported no more headaches, diarrhea, cold hands, and feet. Even her blood pressure was normal, and she wasn't dizzy and lightheaded anymore. Around this time, I came across a paper by Dr. Guilleminault at Stanford on upper airway resistance syndrome. They studied younger, thin people with severe fatigue and poor sleep, but without any significant obstructive sleep apnea. What they did find was that they still had multiple partial to total breathing obstructions that wasn't severe enough to be called apneas, but lead to arousals from deep sleep to light sleep. This also became a personal issue as my wife had major health issues during and after her first two pregnancies, which in retrospect was upper airway resistance syndrome. Once I recognized that all modern humans are susceptible to these breathing problems while sleeping, it completely changed the way I practice medicine and surgery. Not to mention that you also host a teleseminar every month - Ask Dr. Park - where you answer many questions received from your visitors. Knowing that a life of a surgeon is very busy, how do you get so much time to do so many things? I truly believe that treating sleep-breathing problems should be addressed in an interdisciplinary manner. It has to be a total lifestyle and mindset change, rather than just using a CPAP machine or dental device, or even surgery. If you don't change your ways, it's like only taking a pill for your medical condition. As we know, sleep apnea is something that can recur or worsen if you don't radically change the way you eat, sleep and exercise. I try to practice what I preach. By getting at least 7 hours of sleep, eating healthy, and with regular exercise, I'm able to manage my time effectively to accommodate my personal, medical and academic responsibilities. What really keeps me motivated is knowing that I'm able to help thousands of people people breathe better and sleep better, even without ever meeting them as patients. The feedback that I'm getting has been truly rewarding. 4. Many patients with sleep apnea are reticent about surgery to treat their sleep breathing disorder. Some of them can be excellent candidates to cure sleep apnea completely, some are not. How do you decide in your clinic if a patient needs surgery or other methods to treat his problem? Surgery is only an option once you've exhausted all other options. But then there are some people who absolutely refuse CPAP or dental devices. I always have long discussions about the fact that surgery is not a cure, and there's always chance that you can have persistent sleep apnea even after major surgery. What we're going for is significant improvement in your symptoms and the sleep apnea score on your sleep study. Objectively, I want your apnea hypopnea index (AHI) to drop more than 50% and be under 10 after the procedure, but what's just as important is that you're feeing better. If your number drops from 50 to 5, but you're not feeling any better, then I haven't done my job. Another situation is when someone has very low numbers to begin with, such as an AHI of 6, or even 0. Most physicians wouldn't even consider treatment for these low levels, but I disagree. If the upper airway exam reveals narrowing, treating with CPAP, dental devices or surgery can have dramatic effects. I stress that you have to treat the patient, not the numbers. Oftentimes, even when surgery fails, you're able to see where the residual collapse is happening. As a rule of thumb, very overweight patients tend not to respond to surgery as well. Patients with severely high AHI levels also don't do as well. My ideal surgical patient is thin and with mild to moderate AHI levels. But this doesn't automatically exclude patients that are heavier or have high AHIs. Every case has to be addressed on an individual basis. Oftentimes, I'll offer nasal surgery first to optimize nasal breathing, which can help with CPAP or dental appliances. 5. You've mentioned in your book, Sleep, Interrupted, that all modern humans are vulnerable to various degrees of sleep breathing problems, especially due to our unique upper airway anatomy. It makes me think that sleep apnea can be a side effect of human evolution. I wonder if monkeys have OSA... For readers who may be interested in this subject, can you please explain why sleep apnea was less common in prehistory than is prevalent today? Evolutionary biologists have said that human speech and language is detrimental to our health. This is evidenced by the fact that only humans have so many breathing and choking problems that often lead to death. The main reason for this is due to laryngeal descent—the voice box has to drop lower down in the throat for complex speech and language. But this also unprotected the airway, due to the separation of the epiglottis (the top portion of the voice box) and the soft palate. This is one reason SIDS (sudden infant death syndrome) peaks around 3-4 months, since this is the time period when the epiglottis pulls away from the soft palate. Once you're adjusted, there's less chance of choking or breathing problems, but now your tongue can easily fall back into the newly created oropharynx (where the tonsils and tongue base sit). This separation maximizes at early adulthood, but the larynx continues to drop well into late adulthood. This causes the throat to become more and more floppy, especially when on your back (tongue collapse due to gravity) and in deep sleep (due to muscle relaxation). We compensated well until recently, when we radically changed our feeding habits. Cultures that eat off the land (mountains or oceans) tend to have wide jaws, minimal cavities, and all 32 teeth. Modern diets, which tend to be much softer and highly processed, doesn't give enough stimulation to the teeth to promote proper jaw growth. As a result, most modern humans don't have enough room to hold all 32 teeth, leading to wisdom teeth impactions or removal. They also tend to have high-arched hard palates and most people require braces due to dental crowding. Crowding of the teeth also leads to less space for the normal-sized tongue, which can obstruct breathing easier when supine and when in deep sleep. Bottle-feeding is also thought to cause malocclusion and dental crowding. 6. A lot of people don't know what type of doctor to speak to if they need surgery to treat sleep apnea. There are so many different types of surgeries these days that the patient gets really confused. Here are some examples: septoplasty, turbinectomy, adenoidectomy, tonsillectomy, UPPP, genioglossus advancement, hyoid suspension, etc. There is no "sleep apnea surgeon" qualification. And outside United States and Canada, some doctors barely heard about sleep apnea. What type of surgeon do you think is most qualified to treat sleep apnea? Short of a tracheotomy or maxillomandibular advancement (MMA), there's no one single operation alone that has good success rates. This is because if you're operating on the soft tissues of the throat, there are multiple levels of collapse (nose, soft palate/tonsils, and tongue base). In general ENT surgeons will offer a uvulopalatopharyngoplasty (UPPP) as a first line procedure but we know that this has only a 40% chance of success. But if you add a tongue base procedure (or procedures), the success rate can double to about 80%. There are numerous palatal and tongue base procedures, ranging from minimally invasive to very invasive. Unfortunately, in my experience, minimal procedures produce minimal results. So to get good results, you need to address the entire airway definitively. Too often when a UPPP is performed, it wan't aggressive enough, in addition to not addressing significant tongue base collapse. Not too many ENT surgeons are comfortable with tongue base procedures. Besides the traditional procedures that you hear about, there are now various other options, including robotic tongue base surgery and hypoglossal nerve stimulation. I'm honored to be a part of a clinical study looking at tongue nerve stimulation, with some promising results. You're right in that there's no formal sleep apnea surgery certification process. It's mainly made up of otolaryngologist - head and neck surgeons like myself, but oral surgeons and plastic surgeons can perform procedures as well. What's important is that they are experienced in all areas of sleep apnea surgery (especially the tongue base), and have high success rates proven with post-surgery sleep studies. More recently, otolaryngologists are also becoming board-certified in sleep medicine. I passed my exam earlier this year. You don't need to be certified in sleep to be a good sleep surgeon, but it does help to be able to manage the patient more thoroughly, rather than just focusing on sleep apnea. 7. Since you've started treating patients with sleep apnea and updating your website with interviews and webminars, have you enjoyed the experience thus far and has it exceeded your expectations? Are there days you feel like you want to take a break, or is it something you look forward to every morning? With surgery, you're never going to get perfect results. You have to accept a certain rate of failures. My patients understand this before proceeding with any surgical procedure. However, in the vast majority of cases, patients are happy with their results, and it's their thanks and appreciation that keeps me motivated to offer surgical options when CPAP or dental options are not working. This is what keeps me going day after day. It's not just my surgical results. I have dozens of people writing to me weekly thanking me for information that they found on my website that literally changed their lives for the better. I also enjoy the live interaction that I have with sleep apnea sufferers on my monthly teleconferences, where I either bring on an expert to interview or answer questions myself. Not only do I answer questions from the live audience, I also am constantly learning from people who participate, understanding their pains, frustrations and concerns. I use this information to help me formulate future topics, research ideas, as well as to improve patient care. There are days or weeks when things get overwhelming for me, but I try to keep to a schedule, where I regularly write my blogs or articles, on top of my periodic live programs. I also give lectures or presentations to live audiences (academic as well as the lay public) quite often. My new academic position at Montefiore and Albert Einstein College of Medicine has given me more responsibilities, which is something that I chose to become more involved with research. As with any profession, it can be a challenge in balancing your professional career and family life. 8. Dr. Park, we know you're a busy person so we'll stop the questions here. Thank you so much for sharing your time with us, and we wish you continued success with your career in sleep apnea surgery. For this last question, do you have any advice for someone who is afraid of surgery to treat his sleep breathing disorder? Thank you and have a great week! Surgery is not for everyone. You must try the conventional methods first before considering surgery (CPAP or dental devices). Nasal surgery is one exception if medical therapy doesn't help for nasal congestion. I'm constantly going through the internet forums and information about sleep apnea surgery on the internet, and there's a lot of mis-information out there, especially in the lay-public oriented forums and discussion groups. Even some professional sites have misleading or wrong information. If you're considering surgery, it's important to find a surgeon that you can talk to and trust. Make sure that he or she will spend the time to answer your questions, whether during the office visit or via email or phone. Ask about success rates, and complications. If your surgeon doesn't have any complications, then they're not being aggressive enough, or not doing enough sleep apnea surgery. Don't get sucked into the latest technological toys or gadgets. What's more important is the surgeon's clinical skill and experience. They also have to know when not to operate. One last thing I want to emphasize is that I don't do what I do alone. I work with a team of professionals and support staff, without which I wouldn't be able to do what I do. The sleep labs have wonderful technicians and physicians that work tirelessly to help make a correct diagnosis. The DME companies help countless patients use their CPAP machines effectively. I also work with numerous dentists and oral surgeons who offer their expertise and services. I also work with nutritionists, acupuncturists, oral myologists, and various other professionals when needed. As you can see, sleep apnea management is an interdisciplinary field, with multiple health care providers offering treatment, based on evidence, but customizing recommendations based on the patient's unique lifestyle and life situation. I think of sleep apnea treatment as being like treating cancer in a comprehensive cancer center. Not too surprisingly, life insurance companies rank sleep apnea at the same level as cancer. What a tremendous interview! We want to send our sincere thanks to Dr. Steven Park for giving us such thoughtful answers and really opening up about his background and experience. Please visit doctorstevenpark.com today!